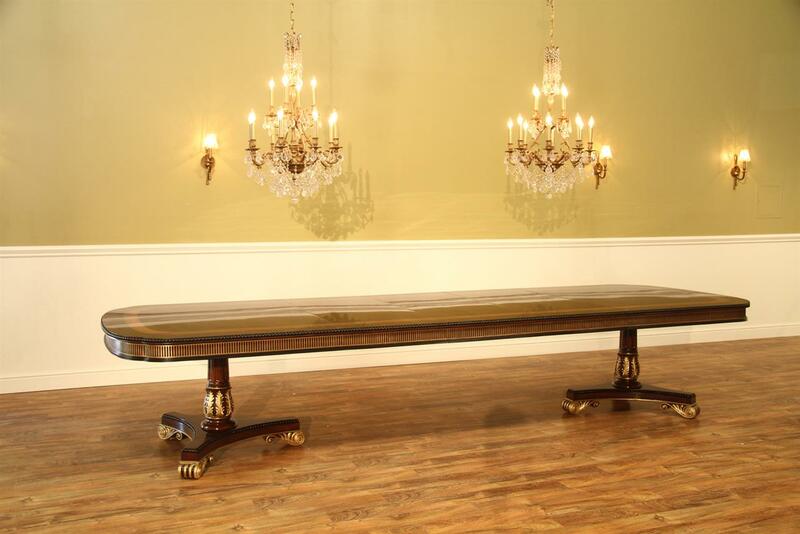 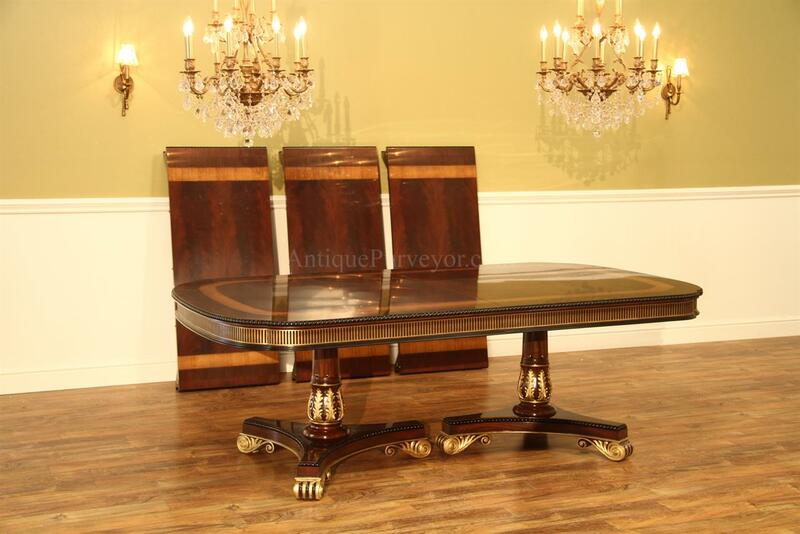 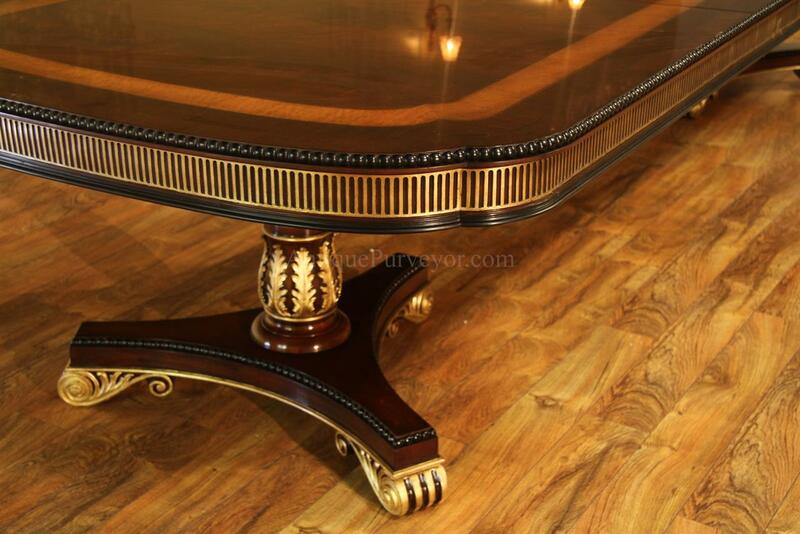 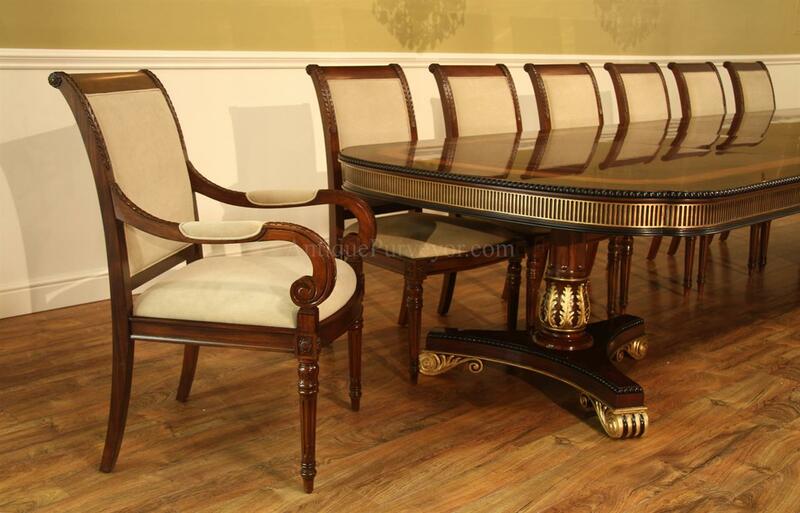 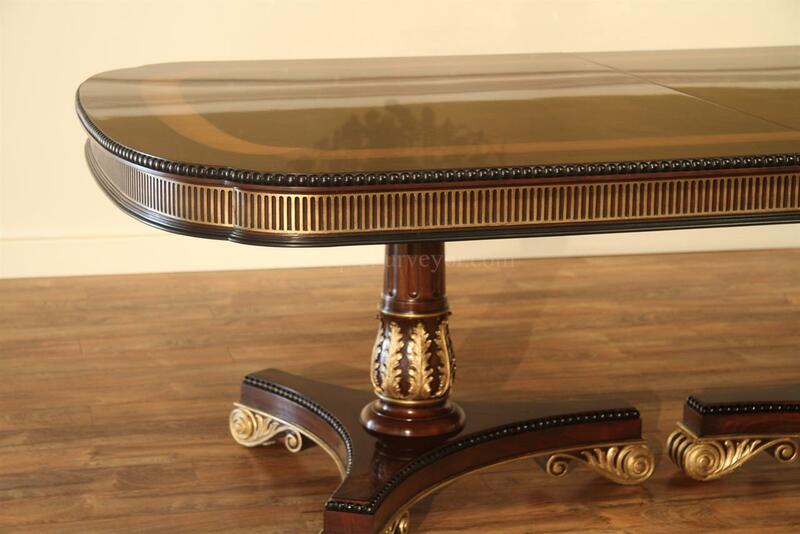 Description: Fine antique reproduction dining table with gold accents. 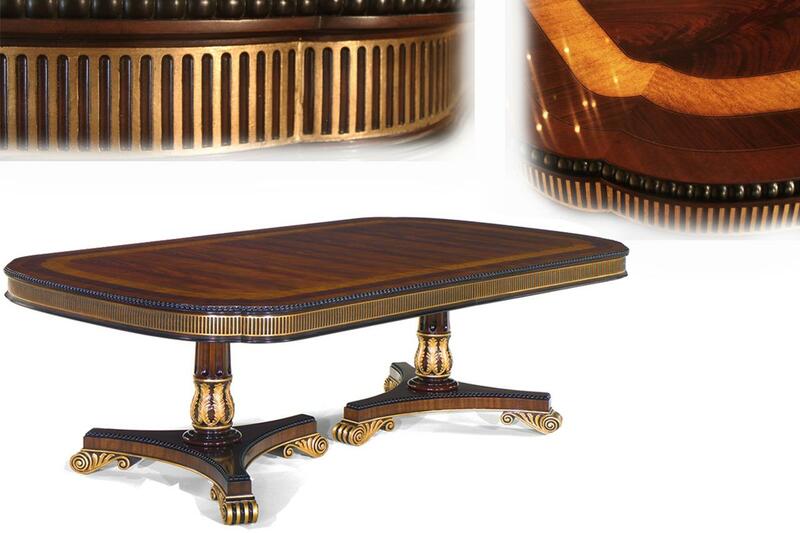 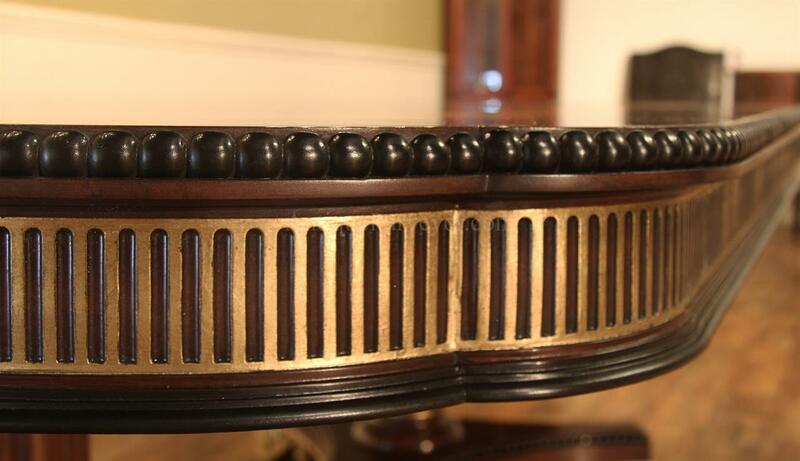 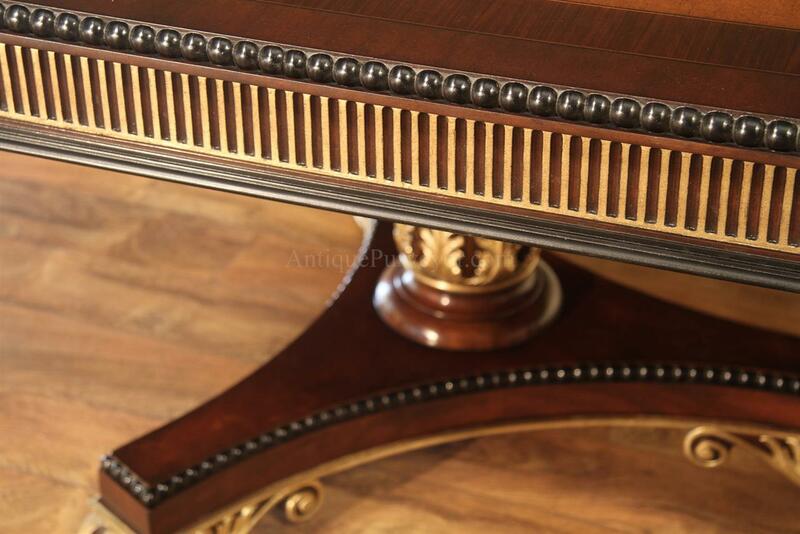 American finished dining table with fluted apron, acanthus leaf carved columns and Regency style bases. 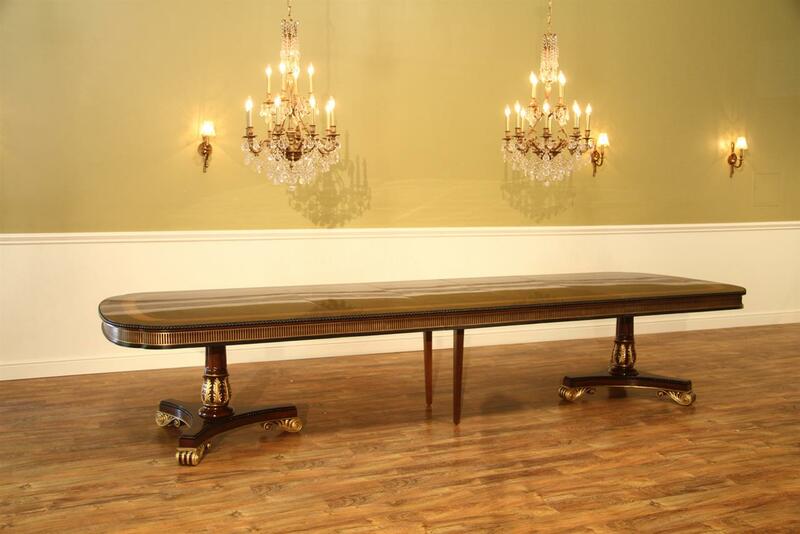 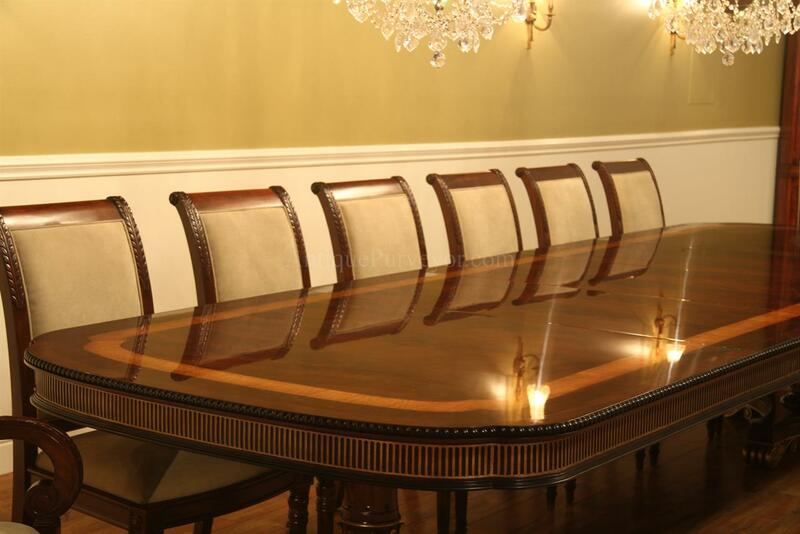 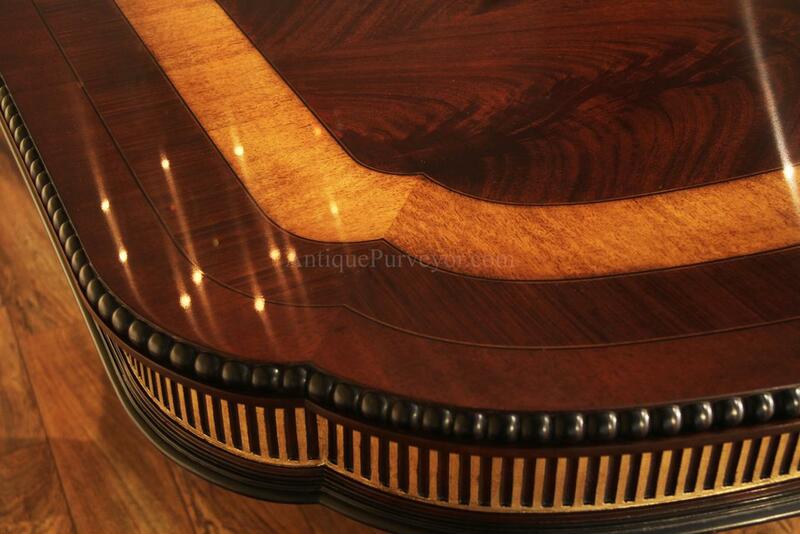 A detailed double pedestal banquet table for a Stately dining room. 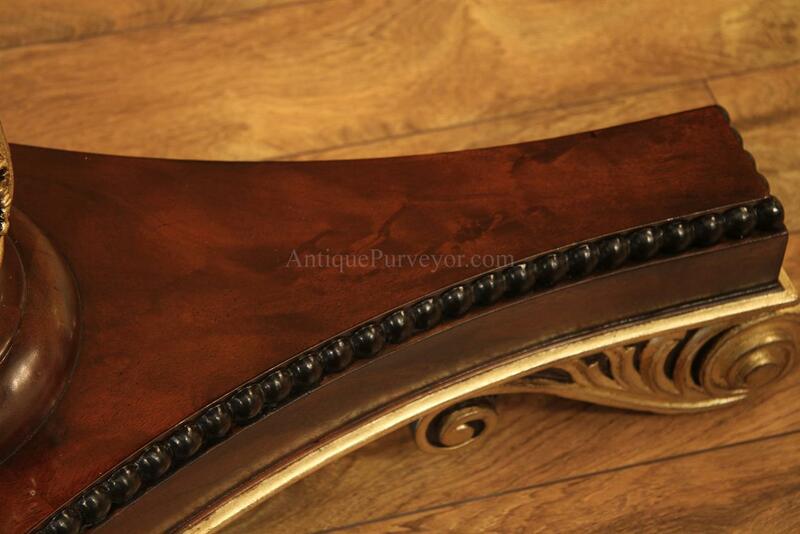 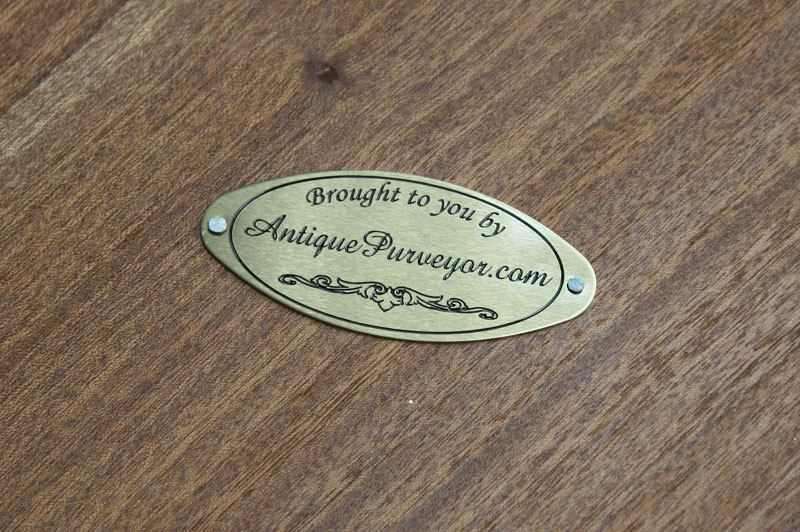 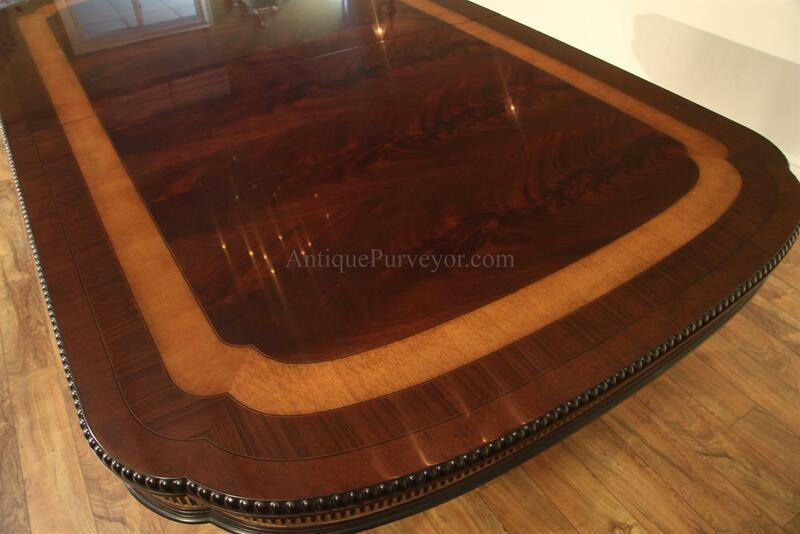 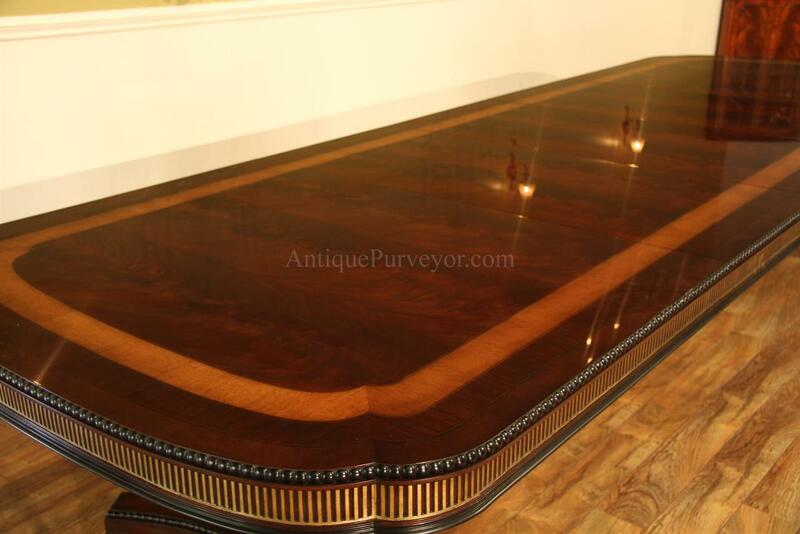 Finished in a rich mahogany satin sheen which can be polished to shine like glass if you want. 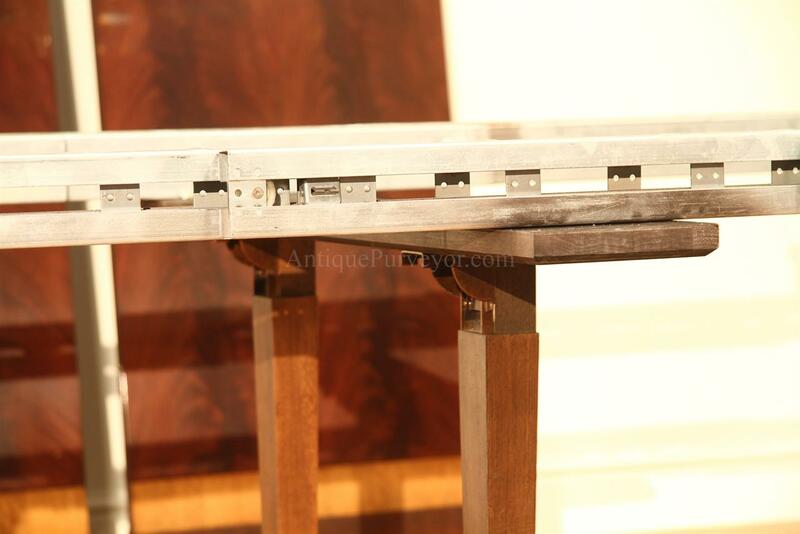 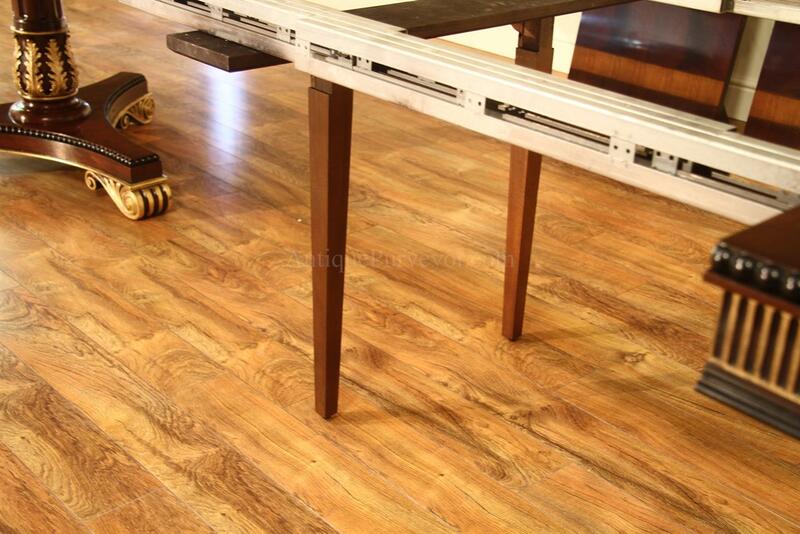 Two legs are hidden and attached to the table's slides and easily drop down so you can get more stability and you can add more weight to the table with no chance of sag. 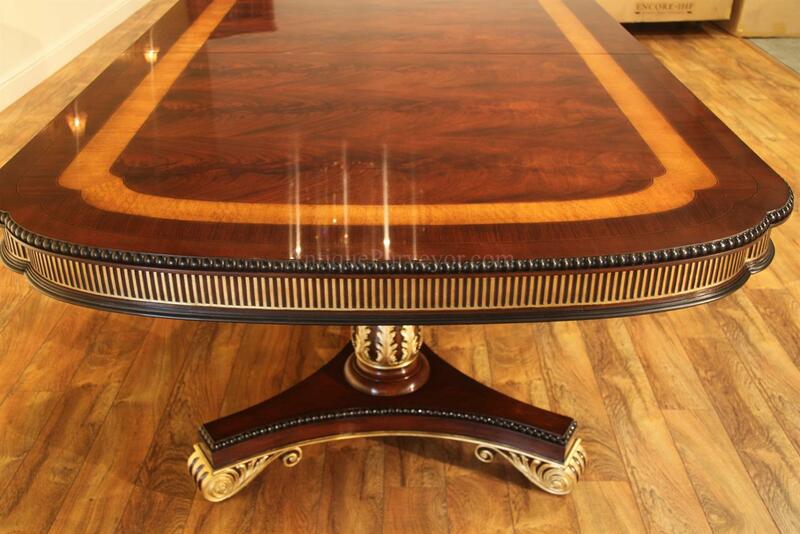 This is a very detailed dining table. 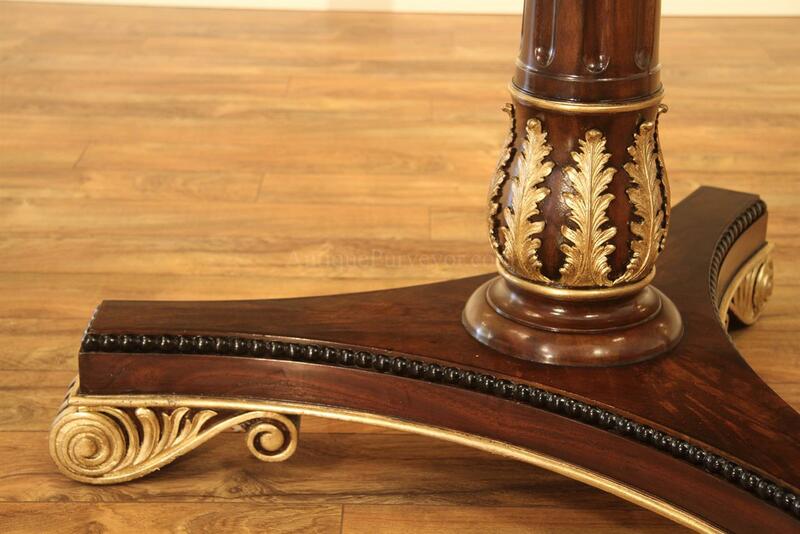 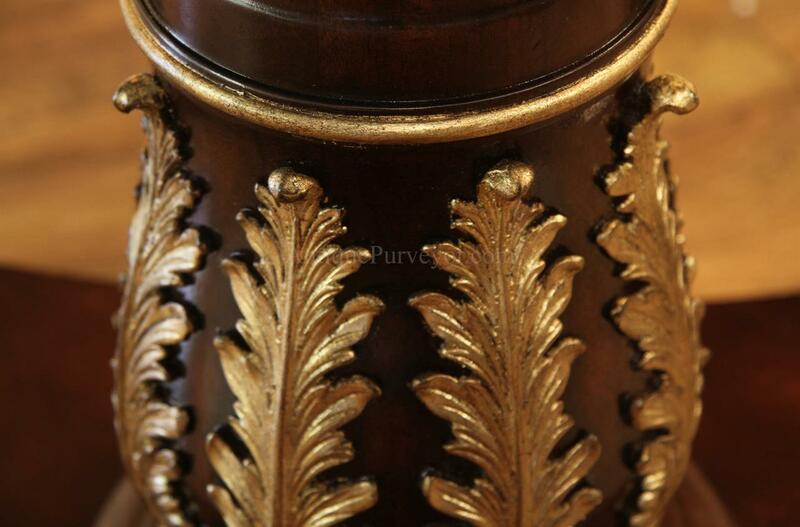 The pedestals are finished with as much detail as the top of the table. 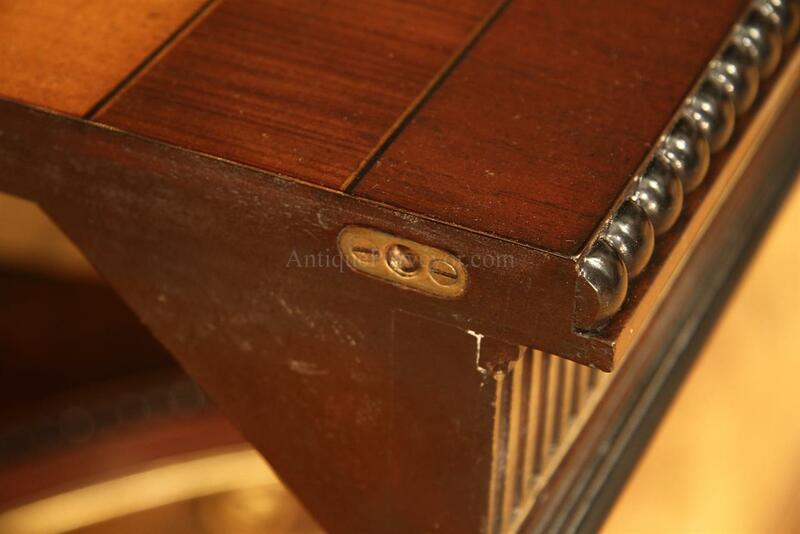 Solid factory forged hardware attaches the bases to the table top. 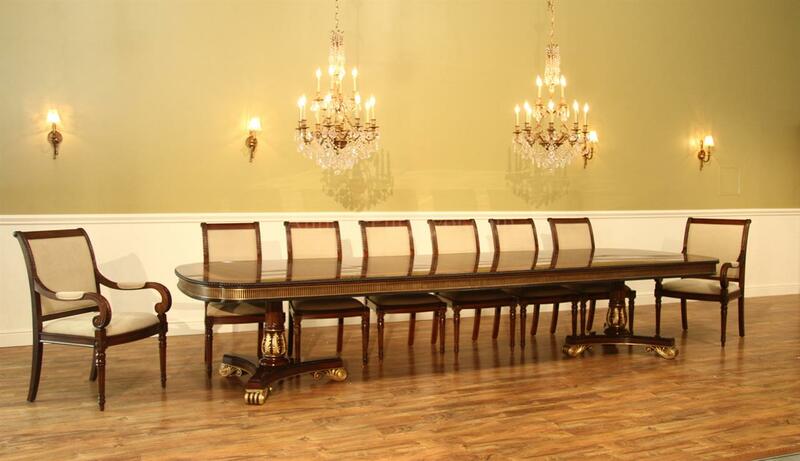 A no-nonsense traditional heirloom quality dining table for up to 14 people.